Another season ends and I make the annual journey from Walsall to the other side of Birmingham and the meeting at Camp Hill Boys school. Various issues are discussed including; trying to include more schools in the league and the possibility of hosting a tournament at QMGS next year. With last years trophies returned this years are distributed and QMGS receive runners up in division 4 and winners of division 2. Well done to all those involved! Unfortunately, only the division 2 winners trophy was available for collection, though attempts are being made to track missing trophies down. 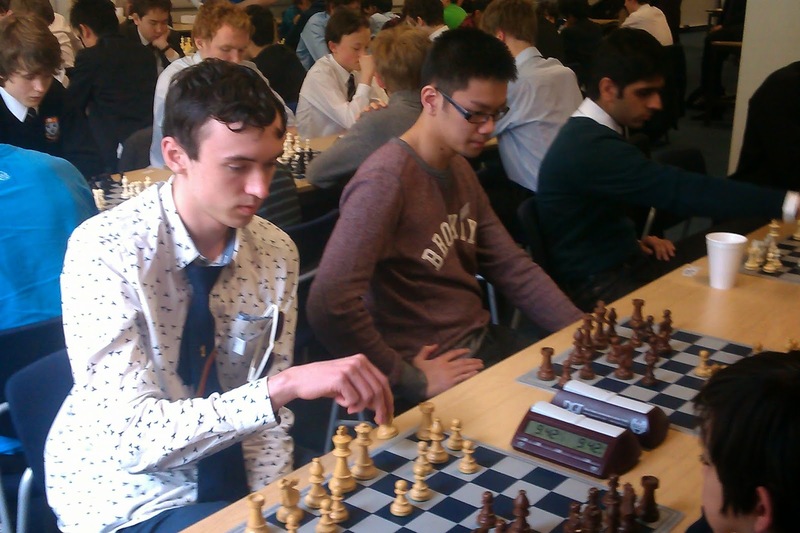 During the holidays a team of 4 boys: Aslan Awan, Lorcan McCullagh, Daniel Law and captain Aamanh Sehdev, went down to Imperial University for the chess National Final. Having won the regional final with 14 teams in contention, the most of any county, the boys were up for the challenge. On arrival, team sheets were put up from each of the 12 schools that qualified, along with their grades. We went over to have a look at what the competition was like, only to witness the ghastly sight of grades averaging 170 plus, with the highest as 207, master level. 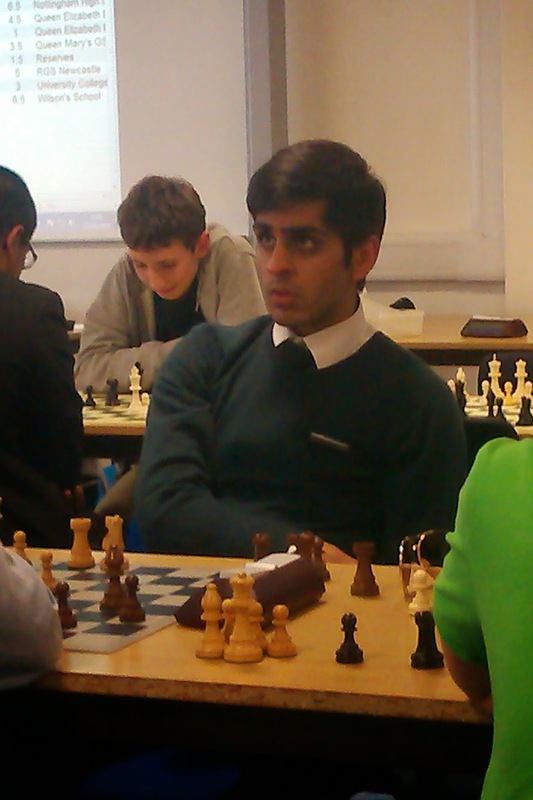 To put that into perspective, the team was made up of 4 ungraded players, up against opponents, that play chess day in day out, entering regular tournaments, representing county’s and some of whom play chess internationally, we were simply ‘out-nerded’. Mr Elsden’s motivational pre-match speech of, ‘I think we’re done for so have fun boys, I look forward to tweeting the losses, seemed to set the tone but filled us with a glimmer of hope nonetheless. 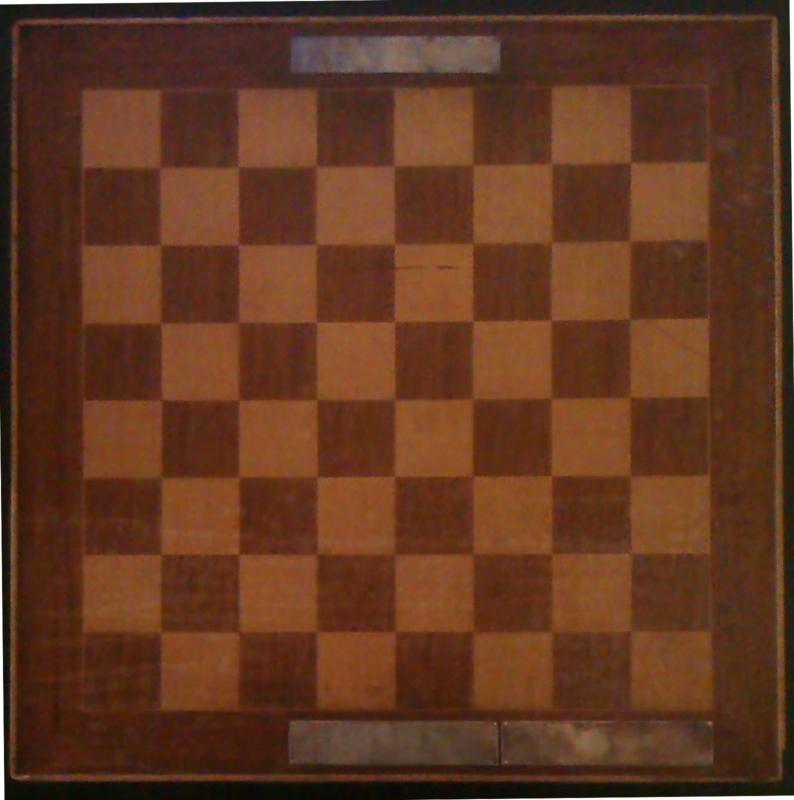 The first part of the tournament consisted of a team match against the British Champion, who was playing against each team at the same time, a total of 10 matches. Evidently, we lost, as did all the teams, but much to everyone’s surprise, the GM filled us with confidence as he voted our team the toughest of the lot, only barely losing on time. Now I’d like to write that we went on to fulfil the GMs expectation and put up a solid fight, but sadly, our individual abilities proved to be our downfall. Still, despite the lack of experience, we managed to rank in the top 8 in the country!! It was an amazing achievement given the circumstances, and a nice way to follow up the two trophies in the regional league. One last mention must go to the top player of the team and equal second tournament performer, who managed 4.5 wins out of 6, Daniel Law. 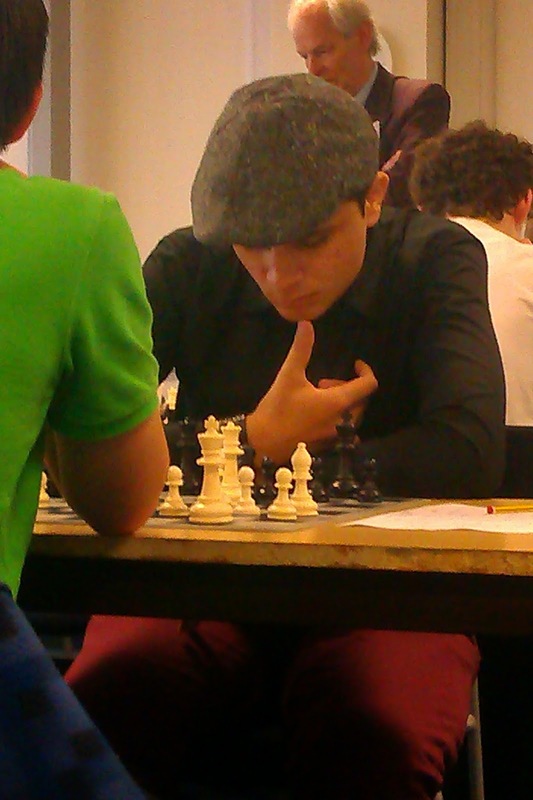 He has proved to be the star performer over the season and will be remembered as one of the most unique players, and students, to play for the chess team.